Grand Central Life & Style, 9781455502004, 320pp. 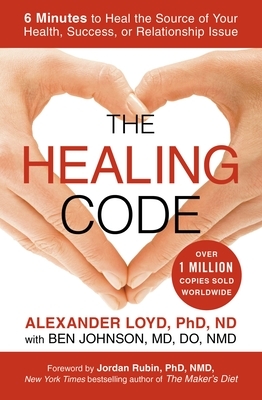 With over 1 million copies sold worldwide and translated into 29 languages, Dr. Alex Loyd's international bestselling book is a life-changing program that uses energy medicine to heal mental and physical challenges. Dr. Alex Loyd discovered how to activate a physical function built into the body that consistently and predictably removes the source of 95% of all illness and disease so that the neuro-immune system takes over its job of healing whatever is wrong with the body. His findings were validated by tests and by the thousands of people from all over the world who have used The Healing Code's system to heal virtually any physical, emotional, or relational issue, as well as realize breakthroughs in success. His testing also revealed that there is a "Universal Healing Code" that will heal most issues for most people. In this book you will get that Universal Healing Code, which takes only minutes to do. Alex Loyd, PhD, ND holds doctorates in Pyschology and Naturopathic Medicine. His 12-year search for a cure for his wife's depression led to the discovery of The Healing Codes system to heal the source of virtually any physical, emotional, success, or relational issue. Ben Johnson, MD, DO, NMD, was clinical director of the Immune Recover Clinic in Atlanta, GA for several years. He has lectured all over the world about how The Healing Codes work. He is the only MD featured in The Secret.